Developed by TsSKB Progress in the city of Samara, the Resurs-P (47KS) remote-sensing satellites were designed to provide high-resolution imagery of the Earth surface revealing details as small as one meter in size. Resurs-P (where "P" stood for "prospective") would complement and ultimately replace in this role the Resurs-DK spacecraft launched in 2006. Both satellites were believed to be civilian cousins of a classified optical reconnaissance spacecraft also developed by TsSKB Progress. The company's Soyuz-2-1b rocket was expected to orbit Resurs-P.
Resurs-P was designed to carry three types of remote-sensing payloads for high-resolution, wide-angle and multi-spectral observations of the Earth's surface. With its imaging cameras, the spacecraft could photograph individual targets on the Earth surface, as well as long stretches of Earth surface extending as far as 2,000 kilometers. The width of the shot would cover 38 kilometers of land during its pass, comparing to 27 kilometers for its predecessor. (562) Resurs-P could also image areas 100 by 300 kilometers during a single pass and conduct stereo-imaging. 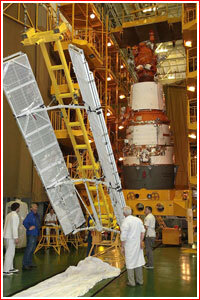 TsSKB Progress also hoped to use the American GPS and Russian GLONASS networks for navigation of Resurs-P. The Resurs-P's projected life span was extended to five years, even though by the time the satellite reached the launch pad in 2013, its predecessor -- Resurs-DK -- would log seven years of operational life. As its main imaging instrument, Resurs-P No. 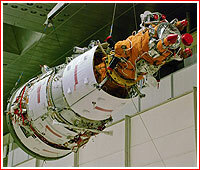 1 sports the Geoton-L1 telescope developed at OAO Krasnogorsky Zavod with an image storing and conversion system dubbed Sangur-1U developed at NPP Opteks, a branch of TsSKB Progress in Samara. Sangur-1U converts optical images into digital signal and then processes, compresses and transmits this data to the satellite's radio system for a downlink to ground stations. 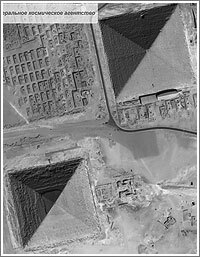 From an altitude of 475 kilometers, Geoton-L could capture panchromatic images with a resolution of up to one meter. Spectral images could be produced at a resolution ranging from two to three meters. According to Roskosmos, the capability of the telescope to image a 38-kilometer swath of the Earth surface would be a record. In a single exposure, Geoton-L could scan 2,000 kilometers. 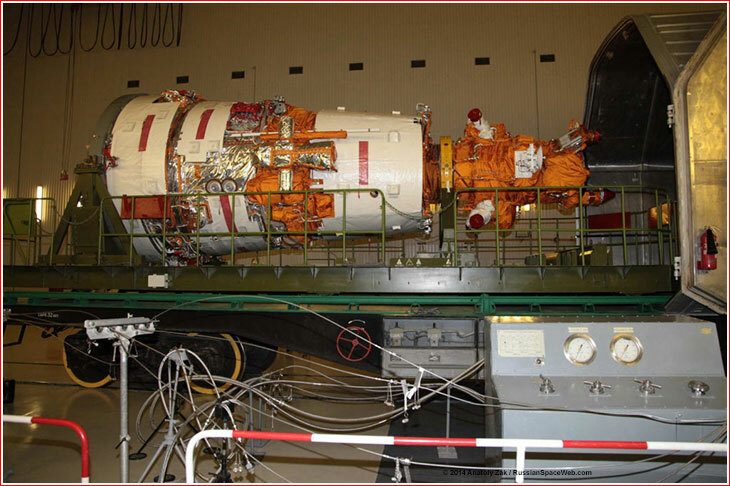 OAO Karsnogosrky Zavod and NPP Opteks also developed a GSA hyper-spectral system and a dual ShMSA-VR/KShMSA-MR multi-spectral sensor system for high-resolution and medium-resolution imaging installed on the spacecraft. The pair of KShMSA cameras can shoot in six spectral ranges simultaneously including one panchromatic mode and five modes in narrow ranges of spectrum. ShMSA-VR camera can produce images with a resolution of 12 meters and cover 97 kilometers in its image. KShMSA-SR camera has a resolution of 60 meters and it can cover 441 kilometers. GSA payload was designed for simultaneous imaging in multiple narrow ranges of visual light and in near-infrared. As of June 2008, the launch of Resurs-P was promised in December 2010. During 2010, the mission was planned for 2011. As of mid-2011, the launch was officially scheduled in April 2012, however by that time, it slipped to the third quarter of the same year. In the fall of 2011, Department 1133 at TsSKB Progress conducted aircraft tests of the satellite's unique hyper-spectral payload, which would be used for the first time on the Russian-built spacecraft. As of March 2012, the launch of Resurs-P was promised in August 2012. (562) As late as May 2012, the preparations still maintained the launch date in August or September. By the end of June, the launch was set for Sept. 30, but by the beginning of August, the mission was postponed again to October 25. By the end of the same month, the launch was rescheduled for November 22 and by the beginning of October the mission was set for November 30, 2012. 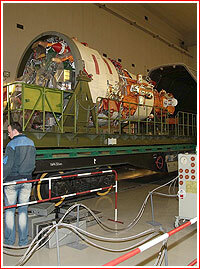 On Oct. 9, 2012, TsSKB Progress announced that the spacecraft had arrived to Baikonur. However on November 14, Roskosmos and TsSKB Progress announced that in order to confirm the projected lifetime of the spacecraft, light sensors manufactured by NPP Elar with the new technique and intended for the star trackers onboard the satellite had undergone additional tests. Based on the results of these trials, showing unacceptable results, a decision had been made to upgrade the instruments. The same problem reportedly delayed the launch of the second Persona reconnaissance satellite, (which used similar trackers) from 2012 to 2013. 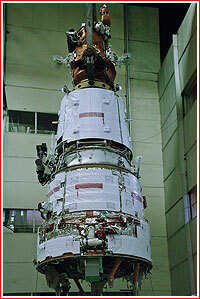 As a result, the launch of Resurs-P was postponed from November 30, 2012, to the first quarter of 2013. By the end of the year there was hope that Resurs-P could fly as soon as February 22, 2013. At the beginning of 2013, Russian press also quoted officials as saying that disagreements with Kazakhstan over Impact Site No. 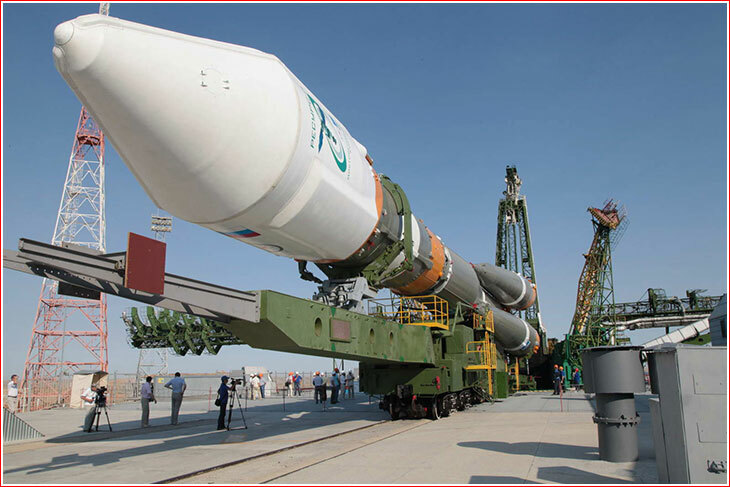 120 north of Baikonur, where the first stage of the Soyuz rocket would fall during the flight, also contributed to the delay of the Resurs-P mission, however, its exact effect on the schedule is unclear. According to one poster on the online forum of the Novosti Kosmonavtiki magazine, Kazakhstan did not impose any restrictions on the use of Site No. 120 for 2013. The same source also reported that the problem with star trackers stemmed from the corrosive action on the sensors from fluorine or chlorine. Initially, it was believed that corrosive chemicals originated in a glue used to attach sensor's electronic components. Only after the affected parts were re-attached with a safer glue, it was discovered that a coating material on both sides of the sensor's glass contained fluorine, requiring further fixes. In February 2013, the launch was set for June 18 and by April, as the problem with sensors was apparently resolved, it was delayed by just few days, until June 21. 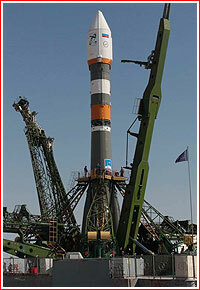 By the end of May 2013, the launch was re-scheduled from June 23 to June 25, 2013. 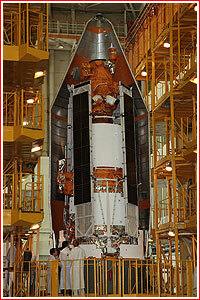 A Soyuz-2-1b launch vehicle (No. 15000-013) with the Resurs-P No. 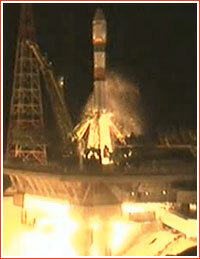 1 satellite was rolled out to the launch pad No. 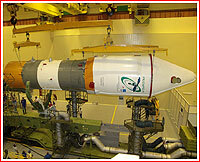 6 at Site 31 in Baikonur on June 22, 2013. 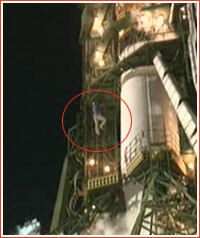 The launch was scheduled for 21:28:48 Moscow Summer Time on June 25. The launch vehicle would fly northward to enter orbit extending from the North pole to the South pole of the Earth to provide full coverage of the planet's surface. The spacecraft was expected to reach orbit 10 minutes later. According to the mission control in Korolev, responsible for the spacecraft after its separation from the third stage of the launch vehicle, Resurs-P No. 1 would be released into an initial orbit, where it was expected to make 31 rotations about the Earth, followed by the first orbit correction. The spacecraft would then conduct two additional firings of its propulsion system during the 54th and 62nd orbits of its mission. These maneuvers would place the satellite into a Sun-synchronous and nearly circular orbit with an average altitude of 468 and 487 kilometers. On October 1, 2013, Roskosmos announced that a meeting of the State Commission overseeing the project that conducted a day earlier declared the spacecraft and its support complex operational.